Surgery is a procedure that affects your body in many ways aside from the actual reason for the operation. 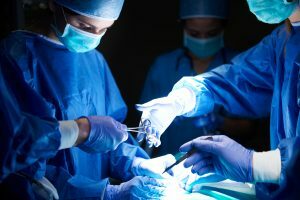 Any type of surgery from an appendectomy (Sepsis and Appendicitis) to a face lift to a Cesarean section (Sepsis and Pregnancy) exposes your body to infection and a fair number of complications, some of which could develop into sepsis. Sometimes incorrectly called blood poisoning, sepsis is the body’s often deadly response to infection . Sepsis kills and disables millions and requires early suspicion and rapid treatment for survival. How does sepsis occur after surgery? Infection after surgery can cause sepsis. This could be infection of the incision, the opening in the skin, or an infection that develops after the surgery, such as pneumonia or a UTI. Pneumonia is not uncommon after having surgery, which is why it is important to get up and about as quickly as is possible after the operation. Deep breathing and coughing exercises are also helpful in keeping your lungs clear. Patients who had to use a ventilator to breathe, a machine that pushes air into the lungs, are also at a higher risk of developing pneumonia. Other infections, such as UTIs may develop if you had to be catheterized (a tube inserted into your bladder). The longer the catheter remains in place, the higher the risk of infection.